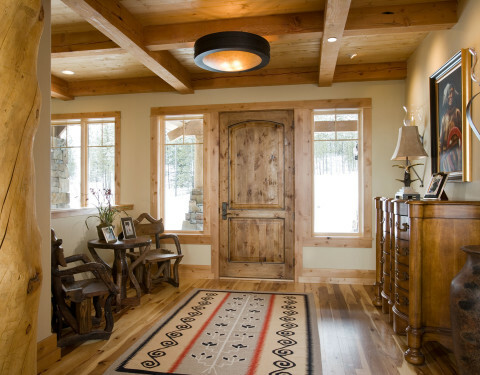 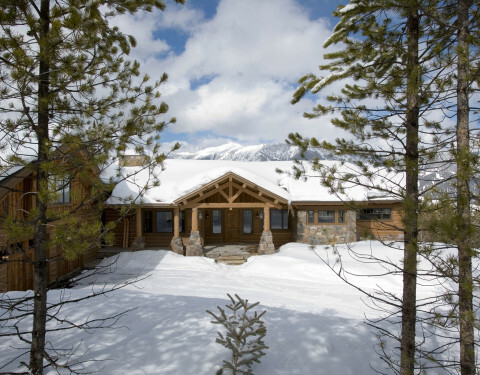 This warmly lit, snow covered beauty invites thoughts of cozy nights by the fire. 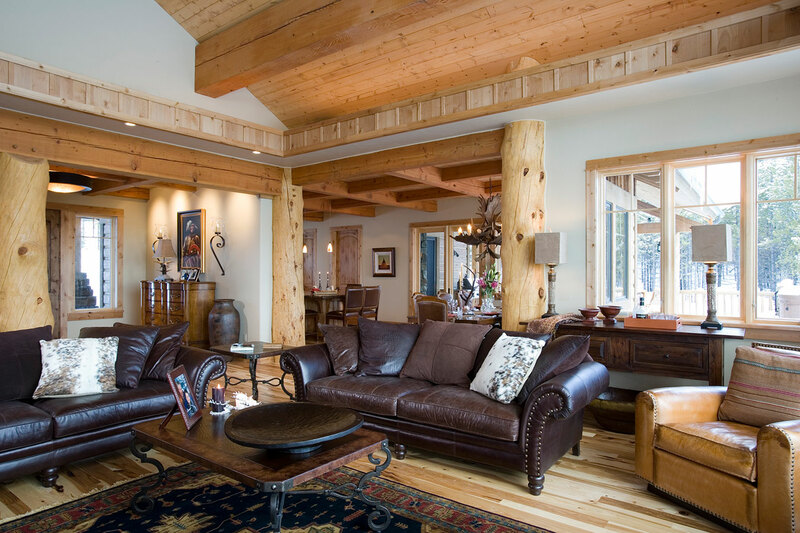 With enormous rectangular beams and round log posts, the Spanish Peaks House is a spectacular study in contrasts. 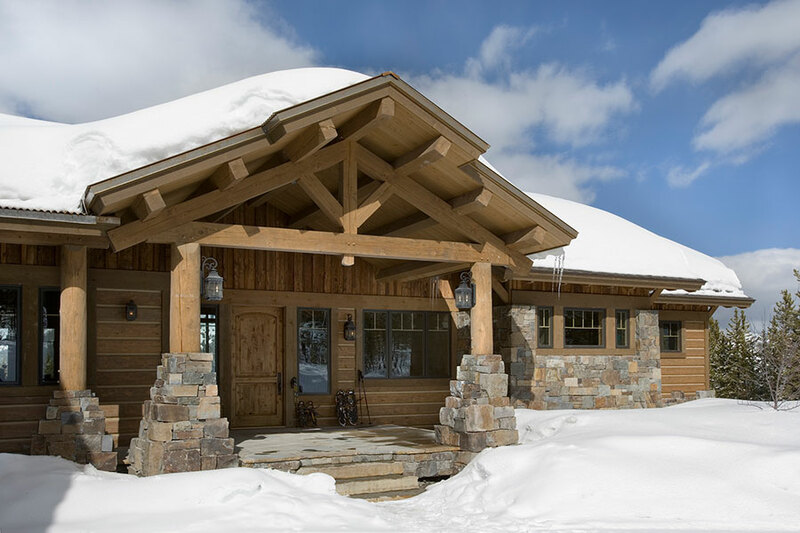 Even the exterior—with horizontal log slab siding and vertical wood paneling—mixes textures and styles beautifully. 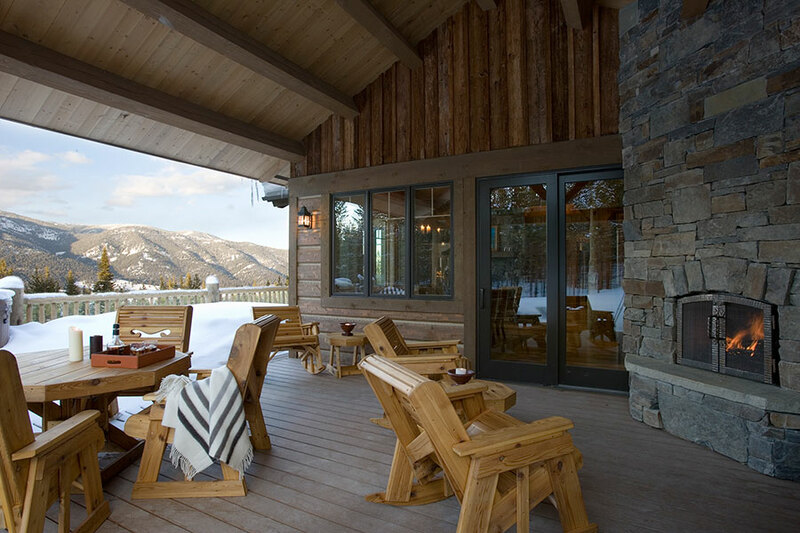 An outdoor rock fireplace, built-in stone grill and ample seating enable the owners to make the most of the mountain-top setting. 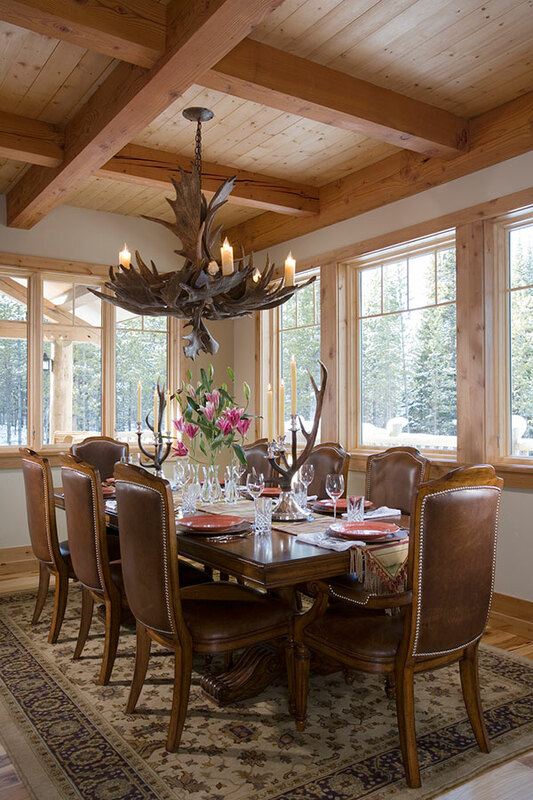 Inside, the owners relied on Blue Ribbon Builders to capture the natural feel of the home’s surroundings. 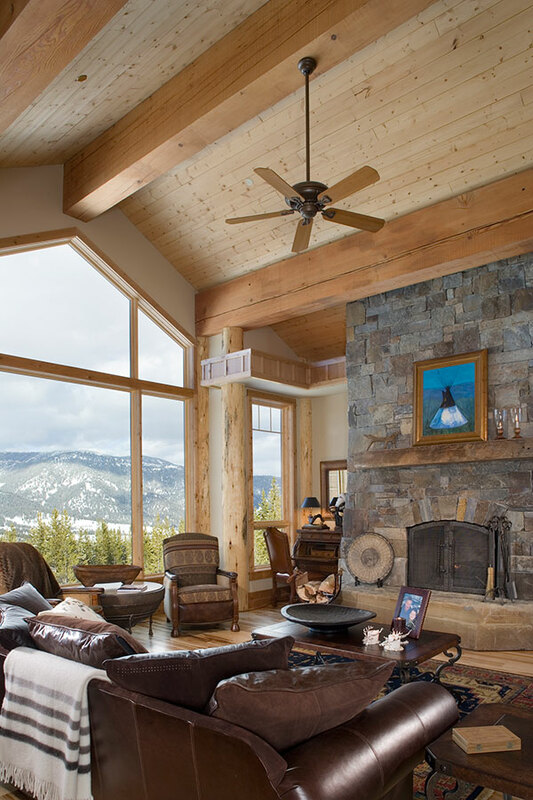 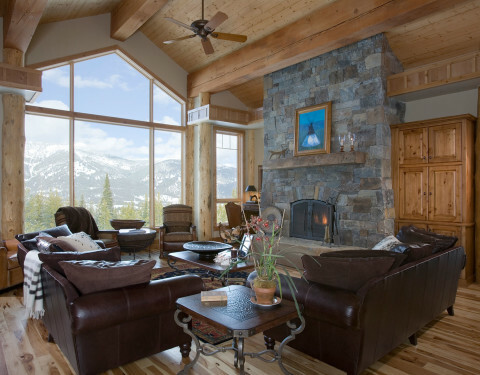 A massive boulder makes up the hearth in the great room, and provides ideal fireside seating. 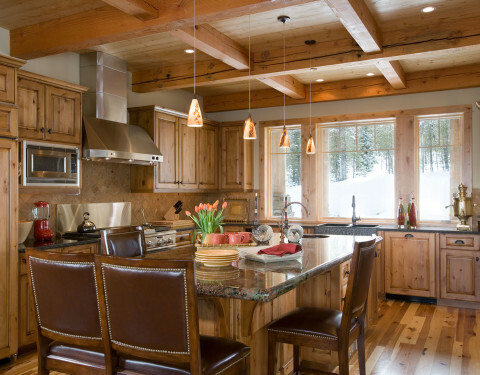 A custom-made stone replica of Lone Peak is the backsplash in a distinctive powder room; and a giant slab of granite adds the finishing touch to the home’s enviable wood, tile and granite kitchen. 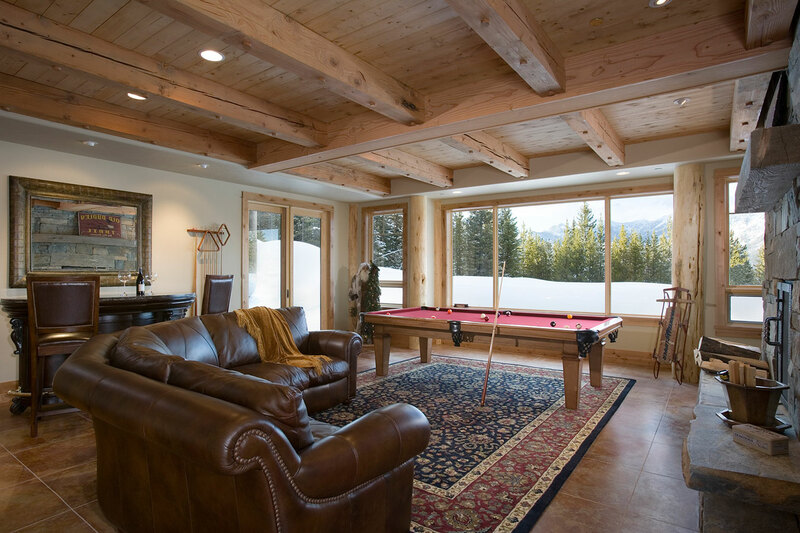 In the daylight basement, brushed concrete flooring adds both texture and durability.